BNT's terminal is made from high quality brass or phosphor bronze having a high conductivity and good elasticity to ensure stability and environmental protection .And it while also exhibiting good corrosion resistance. Type: Pin receptacles type，Spot weld type, Board-in type, Splices type, Tabs type, Auto spade type, etc. BNT's housing is made from high quality ABS，PP，PA66，PPO，PC，PPS，PBT with natural color, black, white, red, green, yellow, brown, blue, yellow green, gray，etc. BNT's connector having good electrical insulation, water resistance, heat resistance, light resistance and UV resistance and while also exhibiting high mechanical strength to ensure safety and environmental protection. Automatic assembly machine is widely used for the connector production, to ensure product quality stability. Type: Board to Board Connector、Wire to Board Connector, relay connector, connector for motor, connector for switch, connector for automobiles , connector for home appliances, etc. 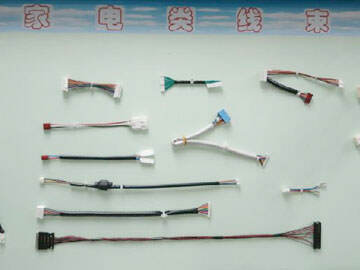 Based on the customer requirement produce varies Wiring harness. We can also provide you more design and processing scheme. The main equipment、Cutting machine, semi automatic crimping machine, full automatic crimping machine, terminal profile analyzer used in Japan and Germany's high-end brand. And we added RoHS detection equipment, to ensure that the production of the most quality products. BNT's wiring harnesses products are widely used in automobile and motorcycle field, household appliances field, wind power, solar energy and other new energy field, industrial equipment and instrumentation field, etc. 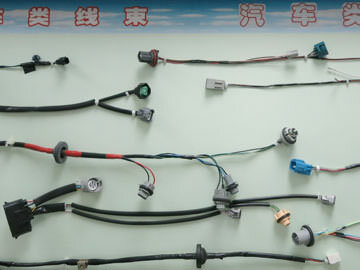 BNT as a wiring harness UL certified factories can deliver good quality products to our customers.